When Canada became a country in 1867 it had all the basic features of our current government structure. It was formed as a federal state, like the United States, with a parliament: the national lawmaking body of Canada, consisting of the Senate and the House of Commons.Parliament and cabinet: a group of advisors chosen by the Prime Minister from the majority party in the House of Commons.Cabinet system like Great Britain's. A federal state is a union of different parts in which the parts, in our case provinces, keep their own governments to look after their own interests while at the same time joining under a common or federal government to oversee common interests. This gives us two parallel levels of government, provincial and federal, which have much the same structure and follow the same procedures. A third level of government is municipal government which looks after local affairs in a town, city or region. Our federal system was set up at Confederation when the various British colonies of North America joined together to gain greater strength against the Americans and to forge an economic union. At the same time these colonies, which became provinces within Confederation, had regional and cultural differences which they wanted to protect by keeping provincial control over such things as property rights and education. The BNA Act laid out the division of powers between the federal and provincial governments although these are often the subject of much debate even today. 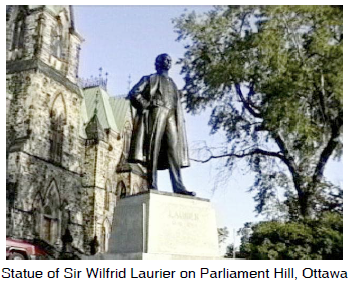 (1) Making laws: which is done by the legislature including the House of Commons and the Senate. (2) Suggesting new laws and putting them into effect: which is done by the executive branch including the Prime Minister and the Cabinet. (3) Interpreting laws and the constitution: which is the job of the judiciary, or court system.